Successfully Added HD Wireless Media Center - Hard Disc Plus Wifi PC Connection to your Shopping Cart. Home digital media center with full high definition (1080p / 60hz) output directly to your TV screen. Now you finally have a HDD media player that will easily play digital media content on your high def TV. Provided with friendly media software, play up to 11 popular video formats as well picture and audio codecs. With multiple connections available you can wirelessly connect your PC, use flash disks via the 2 USB ports, and can even install a 2.5" SATA hard disc of up to 500gb max. The wireless PC connection via Wifi 802.11g MIMO/802.11n provides lightning fast connection to your PC media library using included software. 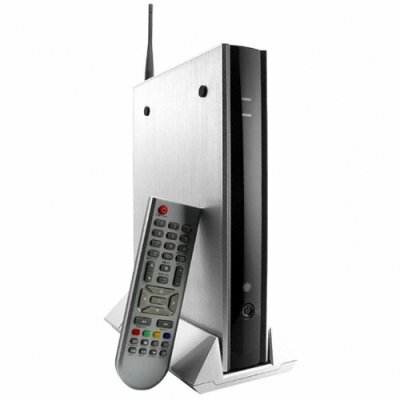 The included remote control also provides easy access to all media player functions and menus. Chinavasion is please to provide you the latest and greatest in high-tech digital home media products. At Chinavasion we continuously expand our product selection to give you the greatest selection of resale items. Note: This product is not sold with a Hard Disk included, you will need to purchase a hard disk separately. The HDD will also need to be formatted for the enclosure to address it. If you wish to make comments or reviews about this product, please use the product review. Please feel free to open a support ticket if you have questions about this product.